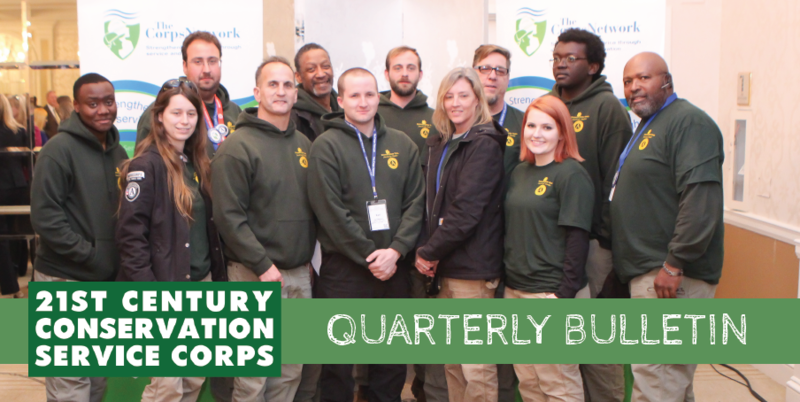 The 21CSC Bulletin is a quarterly newsletter with stories and updates related to the 21st Century Conservation Corps (21CSC) initiative. Below find links to past editions and original content posted on 21CSC.org. The 21CSC Bulletin is produced by the Partnership for the 21CSC with content and input from partners and member organizations. Learn about recent movement on the legislation. The Partnership for the 21CSC held their annual meeting in Washington, DC last month. Find out what was discussed.